Chris Barnes Garden Blog: " The silver apples of the moon, The golden apples of the sun"
" The silver apples of the moon, The golden apples of the sun"
When a grand old tree comes to the end of its life it is always a sad day. But turning that beloved tree into an inspirational wood carving, capturing the spirit of both the tree but also of the place where it is planted is a very real and sustainable solution to the problem. 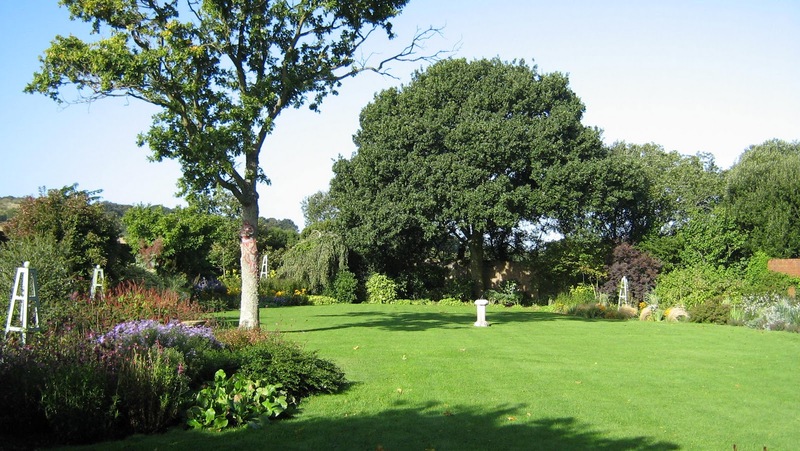 The picture below clearly demonstrates the difference between the two oaks within this walled garden. 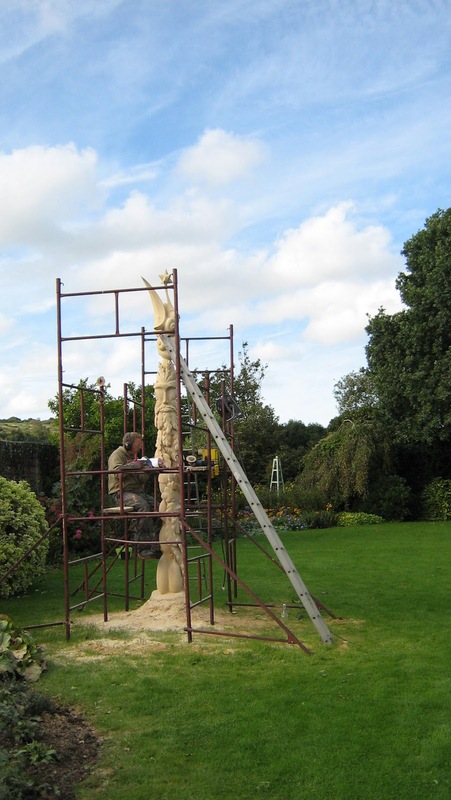 A week later I couldn't wait to see if Guido's sculpture would be finished. He had laboured on it for days, quietly supported in the cradle of the scaffolding, adding further layers of interest to this work. If you read his philosophy of art and nature you will see that he invests more than just his time into every project and this was to be no exception. 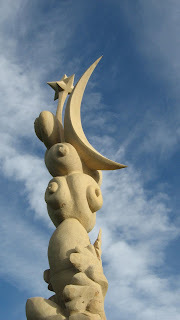 As we drove down the drive to the farm the sculpture was clearly visible above the tall red brick walls. But now reflected in the low morning light a sun and crescent shaped moon seemed to crown the giant wooden sculpture. It had a luminescent quality to it and had really taken the spiritual symbolism of the carving to a whole other level. I gasped with a thrilling recognition. How could Guido have known that he had carved symbols from my favourite verse? It really did feel now that a spiritual presence had entered this lovely garden of guardianship and a connectivity to the place and woodlands surrounding it.